Following a representative makes it simple to find out where and when they have spoken. Videos are listed in one place, allowing you quick and easy access. 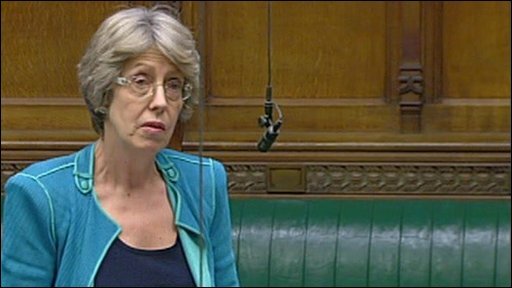 Former Health Secretary Patricia Hewitt has called for a major public inquiry to consider the law on assisted suicide and urged Parliament to "have the courage to tackle controversial issues". Leading an adjournment debate on 10 March 2010, Ms Hewitt welcomed recent guidelines on assisted dying from Director of Public Prosecutions Keir Starmer QC but said they did not go far enough. The chief prosecutor in England and Wales said last month that anyone who acted with compassion to help end the life of someone who had decided they could not go on was unlikely to face criminal charges. He was forced to issue the new rules after a Law Lords ruling in favour of multiple sclerosis sufferer Debbie Purdy, who wanted to know whether her husband would be prosecuted for helping her to die. Ms Hewitt - who was Health Secretary from 2005 to 2007 - told MPs: "If I am ever faced with the diagnosis of a terminal illness, I don't know what choice I would make for myself. "But I do know that I want that choice." She told of desperate people having to refuse food and water "in order to exercise control over how they die" and said some even had to resort to "violent, lonely and often botched" suicides. She said: "We now need a Royal Commission - an independent inquiry of that stature - to look at the evidence, to look at those places that have already legalised assisted dying and to consider the number of British people seeking an assisted death over here or abroad." This report would then form the basis for a wider debate in Parliament, she said. Junior justice minister Claire Ward said the government would not stand in the way of whatever Parliament decided but warned there was "still a long way to go". "We should not underestimate the magnitude of any change which says that we can help people to kill themselves rather than merely helping them to withstand their suffering," she said.